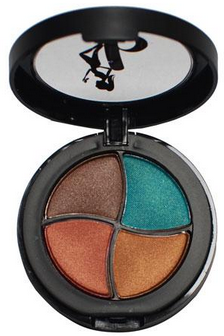 This eye shadow is a decent middle ground in quality! It is light weight and natural feeling, it lasts a pretty decent amount of time when you put it on and it comes in tons of fun colors. The biggest issue I have with this brand is the "color trueness" which mean when you purchase one online (which is where most of this brands retail is sold) does it look like the same color in person. 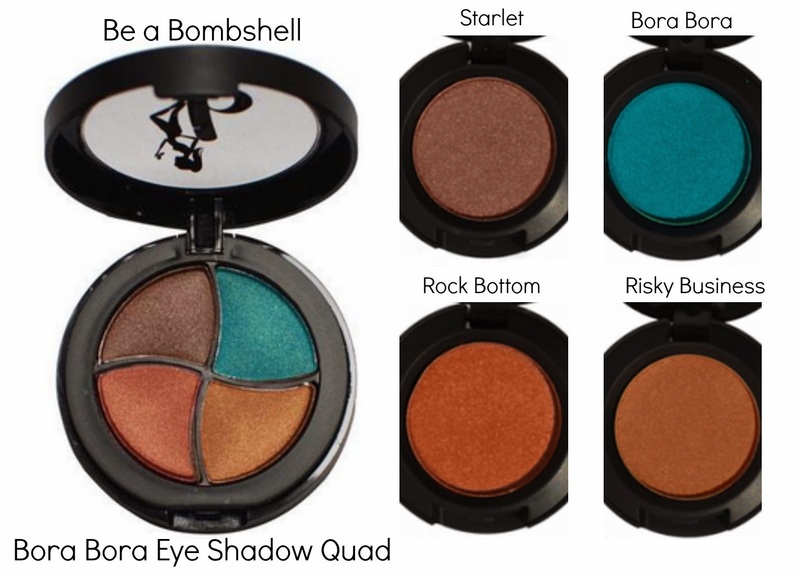 I chose to buy the Bora Bora Eye Shadow Quad (which is in the picture above) to test out. The colors in the picture above are slightly darker than in real life, but that is okay with me. The issue came when I looked up these four colors separately. In the chart below you'll see the quad, and in the same arrangement you'll see the quad's colors separately. In the picture of the quad it looks like there is a brown, pink, orange and blue color. But when you look at them separately they pink and orange colors are very brown, and the pink looks more like rust shade (orangey brown) than pink. It makes me nervous to try any of the other colors. You just don't know what you'll get.